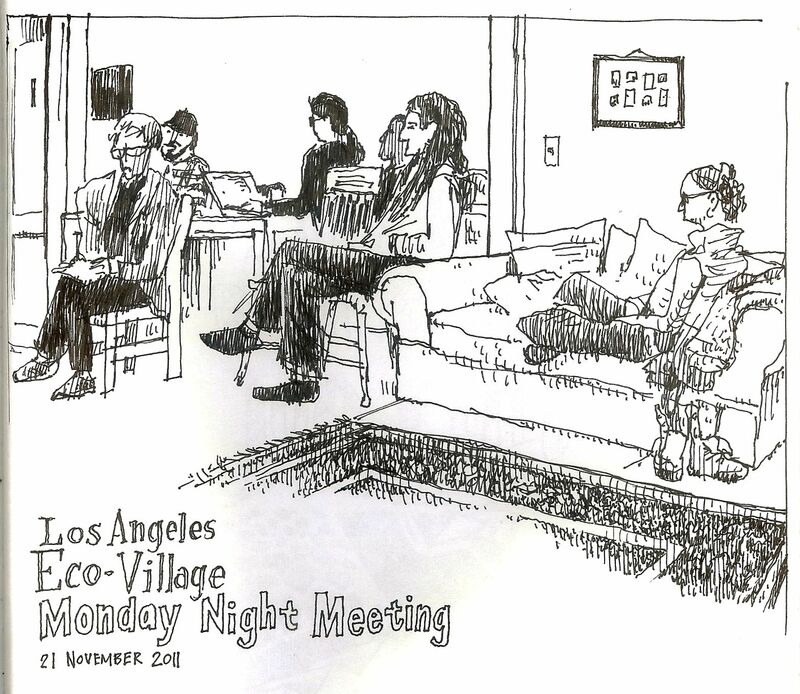 Here’s a sketch I did at one L.A. Eco-Village’s monday night meetings last year. Eco-Villagers meet nearly every monday night all year… you can read about what goes on there in the meeting notes on our wiki. This drawing is in my sketchbook number 60. 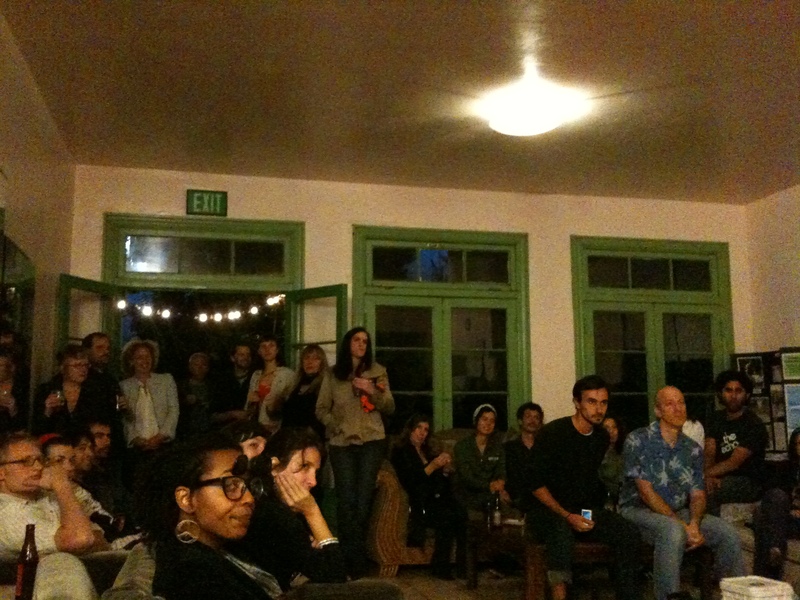 Every week, different members of the LA Eco-Village facilitate meetings that lead to decisions that impact the community. 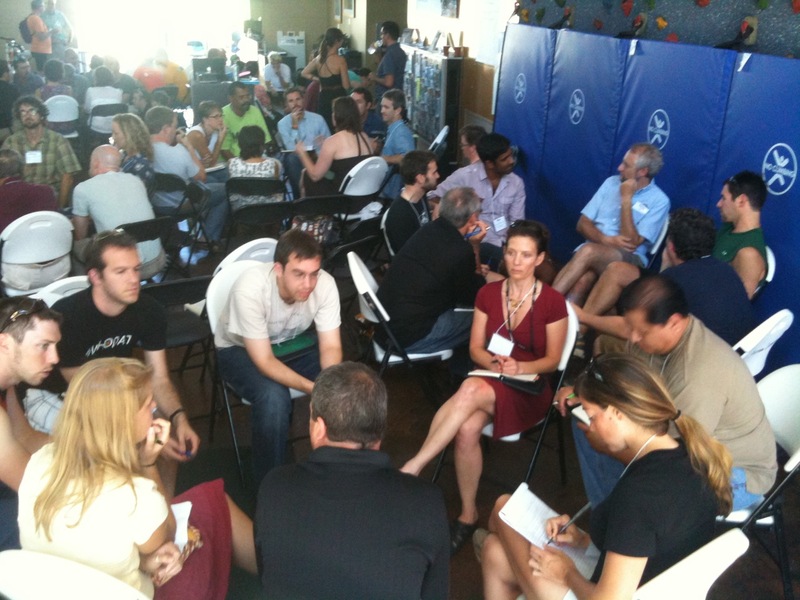 To learn how its done and improve the effectiveness of whatever group you meet with, I invite you to attend an Introduction to Facilitation workshop I’m leading at the LA Eco-Village on Wednesday, July 28th from 7pm to 9pm. Facilitators play a key role in helping a group make decisions. They help create a safe environment where everyone feels like their input is valued. In this workshop, you’ll explore the benefits of facilitation, explore the group decision making process, explore various tools a facilitator uses, and have the opportunity to practice facilitating a group (and receive feedback on your efforts). For more information about the facilitation services I provide, my background and 10 tips for facilitation, check out this two-page flyer I created. 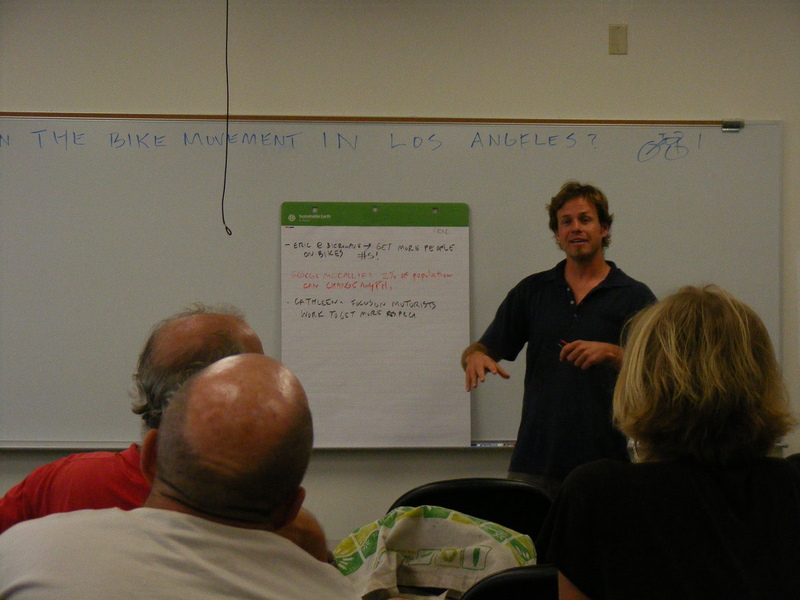 For those interested in learning more about facilitation over a few days, the International Institute for Facilitation and Change will host a three-day “Leading Effective Meetings” training from Sept. 30th to October 2nd in Los Angeles. This workshop explores more sophisticated tools and strategies that facilitators use to ensure groups effectively reach decisions. Participants will have the opportunity to practice facilitating challenging situations and receive feedback on from the instructor and training participants. The fee for each workshop is $35 (with a sliding scale for those that need it). Reservations are required – To reserve a spot email crsp@igc.org or call (213) 738-1254. For those that can’t attend the workshop, check out my top 10 tips for facilitation, recently published by the International Institute for Facilitation and Change’s Bonfire Newsletter, another great resource out there for folks wanting to polish their facilitation skills.